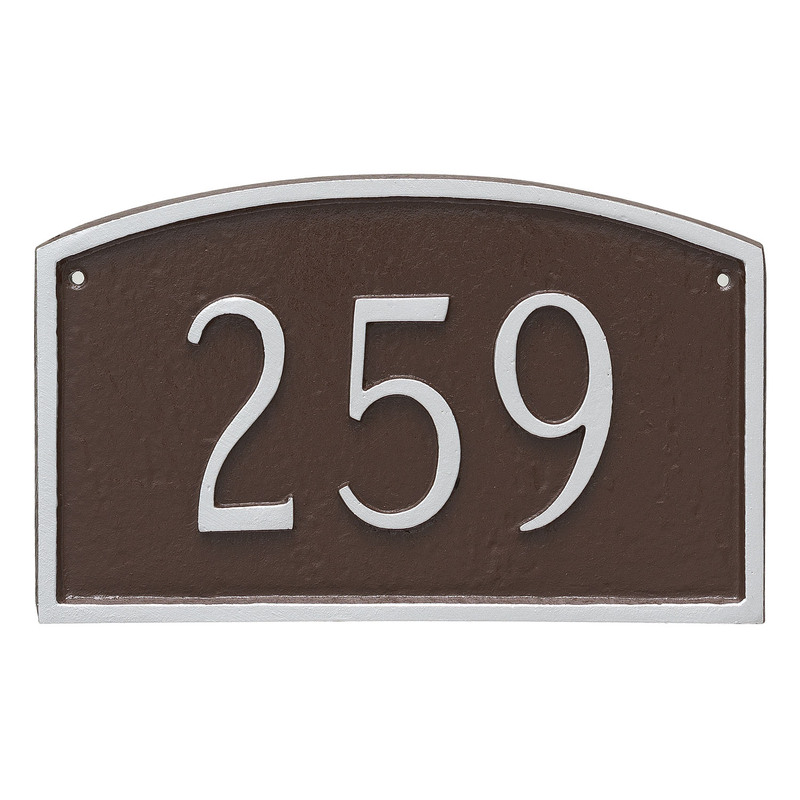 Montague Metals Petite Prestige Arch styled address sign is cast aluminum, and will never rust. 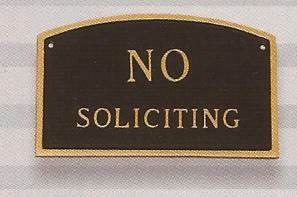 The Prestige arch design is both simple and timeless. 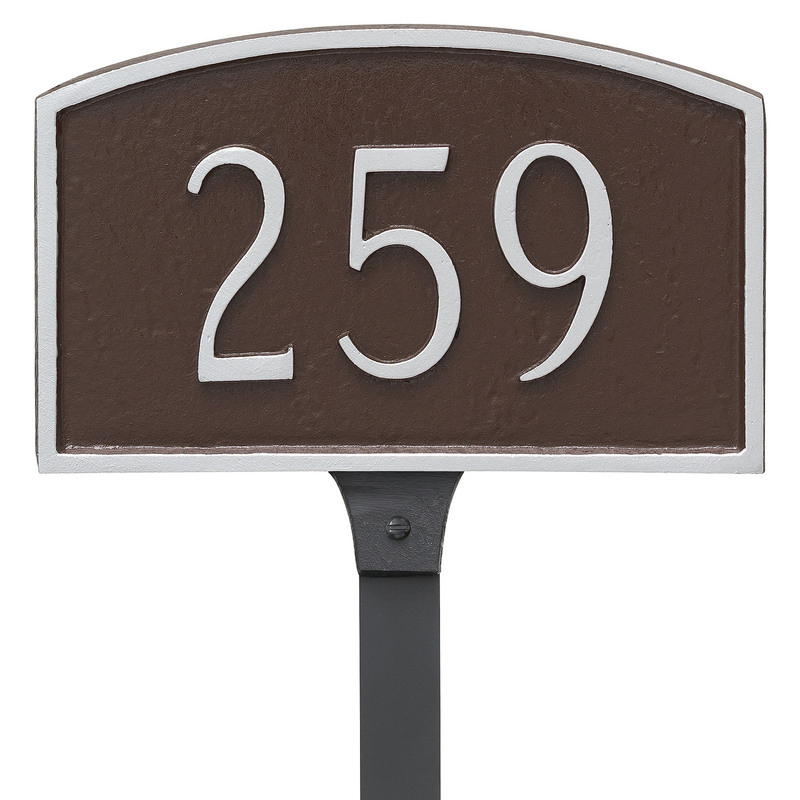 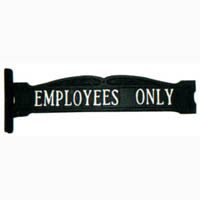 This size Prestige address sign is available in the surface mount version only. 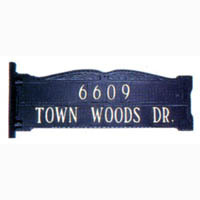 Dimensions: 5 1/2" x 9"